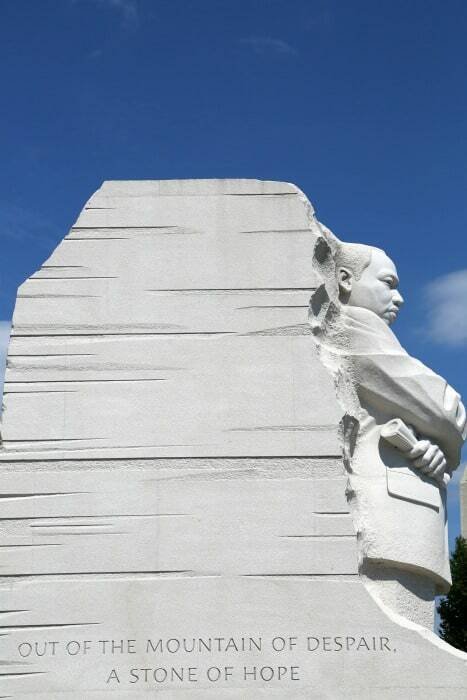 Dedicated in 2011, the Martin Luther King Jr Memorial in Washington DC is part of the National Mall. The memorial is near the spot where Dr. King gave his “I have a dream” speech as part of the 1963 March on Washington for Jobs and Freedom. The memorial was sculpted from pink granite by Chinese artist Master Lei Yixin. 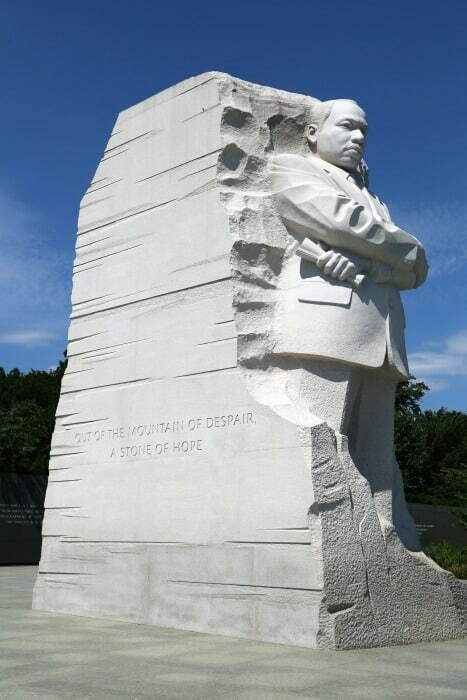 The memorial depicts MLK as a “Stone of Hope” emerging from a “Mountain of Despair”. These words are from his “I have a dream” speech. 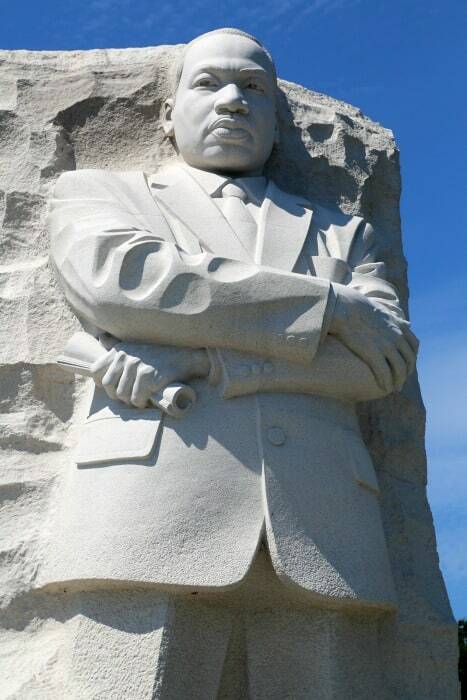 MLK stands 30 feet tall and is shown with his arms crossed looking towards the horizon. When you visit the memorial you enter through the Mountain of Despair to reach the Stone of Hope. This entrance is symbolic of the struggle for equal rights and the obstacles Mr. King overcame during his life. The memorial also includes a wall with quotes from Mr. King. 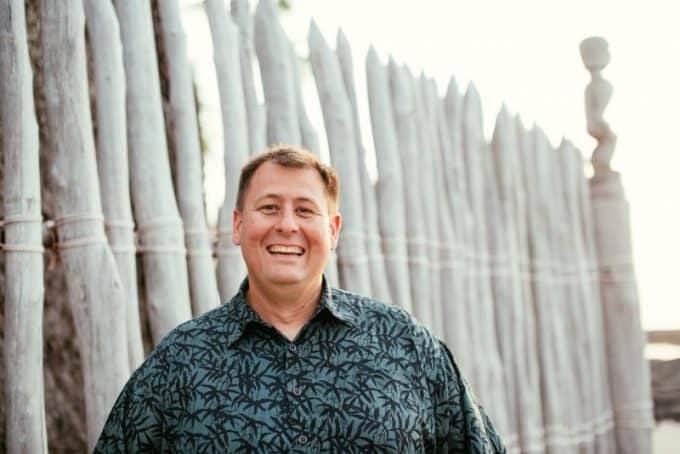 Additional National Parks with ties to Martin Luther King Jr. The nearest metro stop is Smithsonian. The Martin Luther King, Jr. Memorial is part of National Mall and Memorial Parks. There is no specific visitor center for the memorial. A bookstore is located near the memorial, offering a wide variety of products to commemorate your visit and learn more. The Martin Luther King Jr Memorial Junior Ranger program is part of the National Mall and Memorial Parks Junior Ranger Program.